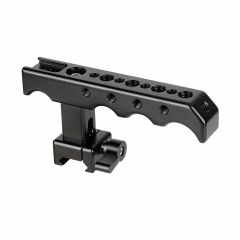 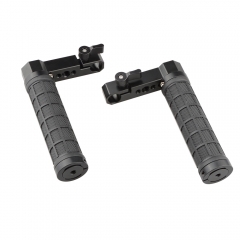 • This handle grip features a standard 19mm single rod clamp, compatible with 19mm rod. 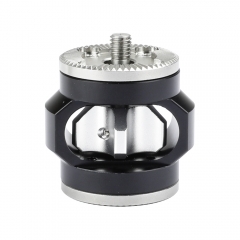 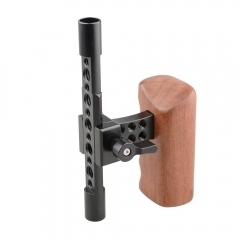 • A 1/4"-20 thread hole on the bottom, which allows you to mount onto tripod. 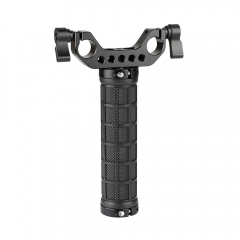 • The grip core is made of solid aluminum, the textured rubber grips quell concerns over sweaty palms or wet weather. 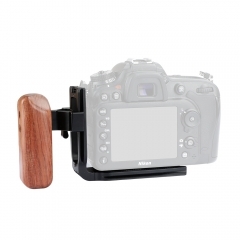 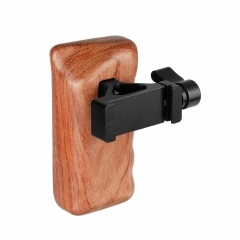 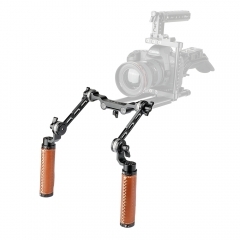 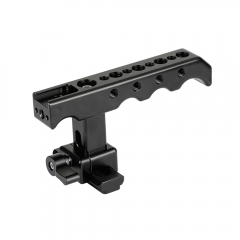 The stability, versatility and feel of our Camera Handle grip is an ideal choice for hand held shooters.